If you think back to the start of the year we were introduced to the Nike x Concept Lobster SB. Maybe one of the most innovative collaborations to hit the market. Well Concepts is at it again. 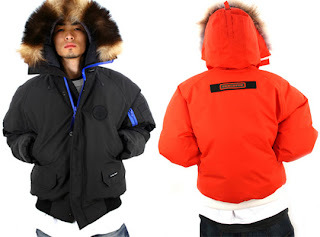 The Cambridge, Massachusetts store recently teamed up with Toronto outwear power house Canada Goose. Canada Goose has been manufacturing innovative, high quality outerwear in Canada for over 50 years. Their high end goose and duck down jackets are worn by almost every scientist at the South Pole and every Canadian Law Enforcement officer. Concepts is proud to announce their Chilliwack collaboration project. "The Chilliwack 'bomber style' jacket was created to provide pilots with the warmth needed on Arctic landing strips but designed for maximum comfort and freedom of movement while in the cockpit" (Highsnobiety). 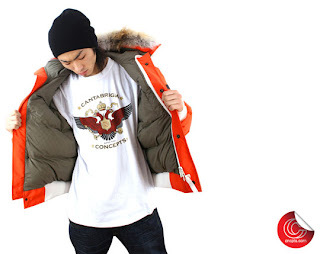 Concepts will release 2 versions of the Chilliwack parka. The first, a black version accentuated with blue zippers and featuring a Wolverine fur trimmed hood. The Wolverine fur draws away moisture from the face to prevent frost bite. The second release will see an orange version with cream colored trim and zippers which features a Coyote fur trimmed hood. 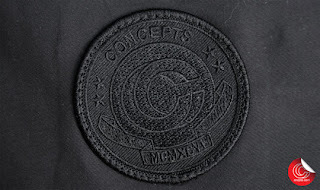 Both jackets will feature Concepts branded patches and embossed lining.